200 of the 608 vehicle-related deaths in Colorado the past year were due to a lack of restraint. Are you guilty of not wearing a seat belt while riding in the backseat? Backseat passengers are ignoring safety by refusing to buckle up, even when using Uber or riding in a taxi. A recent study released on safety belt use by adults riding in the back seat of a vehicle when going on a short trip or traveling by ride-sharing or taxi showed disappointing results as to the safety of American passengers. Whether you sit in the backseat or the front seat, buckling your seat belt every time keeps you secure in the event of an auto accident, and yet the majority of passengers ignore this simple 3-second task. The Insurance Institute for Highway Safety (IIHS) study surveyed adult, backseat passengers who take short trips in their personal vehicles, ride in a cab, or utilize ride-sharing services, such as Uber and Lyft. The study revealed that 4 out of 5 adults questioned admit to not using seat belts when riding in the back seat. According to the survey, those questioned didn’t think seat belts were necessary because riding in the back seat of a vehicle is much safer than riding in the front seat. However, that perception is the farthest thing from the truth. The concept of ride-sharing, such as Uber and Lyft, is fairly new yet widely used around the world. Per a 2016 business article, Uber is now in 58 countries and has a market value of over $60 billion dollars. If you are not familiar with Uber or its competitor, Lyft, the ride-share allows people with smartphones and a downloaded app to request a ride. Instead of using a cab, ride-sharing relies on individual drivers using their personal transportation to shuttle passengers around town. 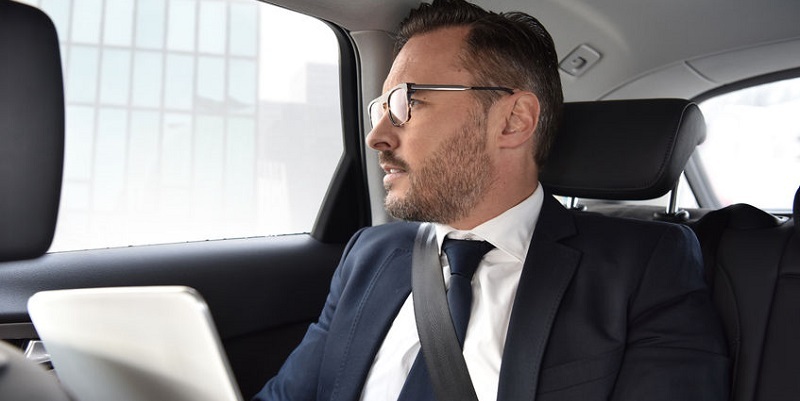 While a driver’s main duty is to arrive quickly and pick-up passengers, an online forum of Uber drivers highlights concerns about backseat passengers who refuse to buckle up, even in states where the law requires them to do so. Some Uber drivers are so concerned about backseat passenger safety that they are reporting those who refuse to buckle up. Ride-sharing makes it possible for drivers to refuse service to certain passengers, in this case, passengers who refuse to obey state laws on seat belt use or requests from drivers themselves to use a seat belt. Car crashes represent the leading cause of death for those aged 1-54 states the Centers for Disease Control and Prevention. In 2016, the National Safety Council estimated that 40,200 people lost their lives in car accidents, that was an increase of 6 percent as compared to 2015. Despite these high numbers, millions of drivers and passengers across the country still refuse to buckle up. Even here in Colorado, approximately 18 percent of vehicle passengers ride unrestrained. State law enforcement officials report that last year 608 people died on Colorado roadways; nearly 200 of those killed were said to be unrestrained. Even though Colorado law only requires those 15 and younger to wear seat belts while in the back seat, officials say always wearing a seat belt remains the best way to protect yourself and others in the car, no matter the circumstance. The few seconds it takes to do this could be the most important seconds of your life.